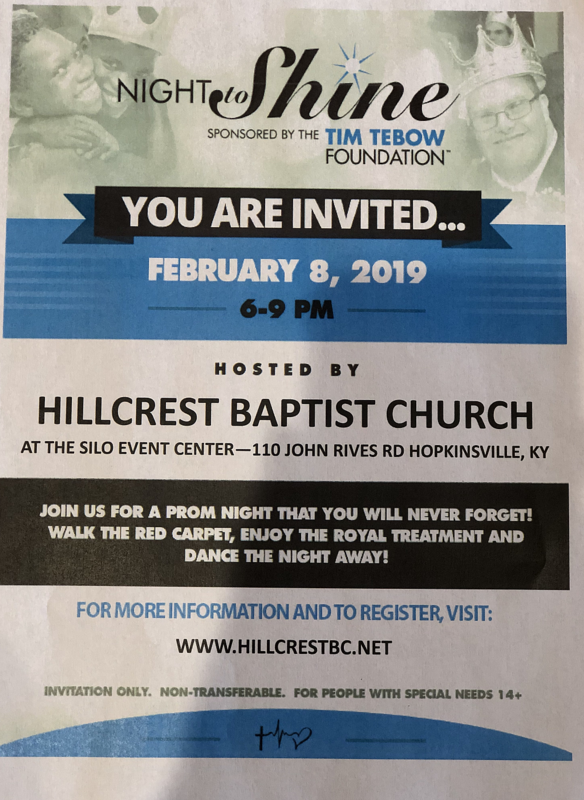 You are invited to the Night to Shine Prom event, hosted by the Hillcrest Baptist Church on February 8, 2019 at 6:00pm to 8:00pm at the Silo Event Center. Join them for a prom night that you will never forget! Walk the red carpet, enjoy the royal treatment and dance the night away.